Want your explainer video to result in greater productivity? Whether it’s through an increase in your website’s traffic, more orders or new subscribers, if you’ve read the quote above you understand that it won’t be easy. You need to know exactly where to place your well-made explainer video so it won’t go to waste. You can opt to let things flow, it’s your choice, but achieving an excellent result would then be a matter of sheer luck. So, just where would be the right spot to place your explainer video? Well, that’s actually the second question to ask. Question number one would be, “What’s your reason for making an explainer video in the first place?” You can pretty much divide possible reasons into two main ones: increase traffic, automatically bringing you potential customers; and raise brand awareness. If your aim is to increase traffic, there are two potential spots to place your explainer video: a website and a blog. Why a website? Some of you might have heard this before, but I’ll repeat it just in case you haven’t. Having an explainer video on your webpage will increase your chances of appearing on the first page of Google’s search results by 53%. This means two things: a major push for your business’ SEO and also, as I mentioned before, increased traffic. Again, increased traffic equals more potential customers. 4,092 – (4,092 x 26.91%) = 2,990 viewers that invested their time to follow a link and view more of your site. Between pages A and B, page B somehow succeeded in getting more visitors to stay and explore further. The bottom line is, if they’re interested in clicking links to other pages of your website, chances are they’ll be enticed to click on your video’s link as well. Based on that calculation, you already know where to place your explainer video, right? Now that we’ve got the website covered, the next step would be a blog. Start blogging. Plan your content and upload it weekly or monthly, whichever is manageable for you. For what reason, you ask? If you think the arrival of blog-like social networks like Twitter resulted in people abandoning the real blog, then you’ve got it wrong. People still dig blogs. According to Ignite Spot, 77% of internet users read blogs. Now it can be your blog they’re reading, with your explainer video featured on the sidebar or attached to the end of every article. Let’s move on to the second option: raising brand awareness. If this is your main goal, rather than increasing traffic, you have to remember that raising awareness means gaining interest from a lot of people. Your explainer video has to go viral. In order to do so, focus on two things: YouTube and your social media accounts. YouTube is a great place to make your video go viral. It’s the world’s second largest search engine by a wide margin, and statistics show that over 6 billion hours of video are watched on YouTube every month. So upload your explainer video on YouTube, and start linking it to your social media accounts. If just twenty of your followers find the video interesting and they forward it to their circle of friends, who then share it with their circle of friends, you have taken the first step along the road to a viral video. Remember: there’s no easy way to gain success. Here’s the thing, this strategy won’t work if your video is not what people expected. To give them the ‘push’ to click that share button, you have to make a video that stands out. You can achieve it by being over the top, hilarious, emotional or just plain nonsensical. Don’t overdo it, though. Remember to stick to the message that you want to go with. 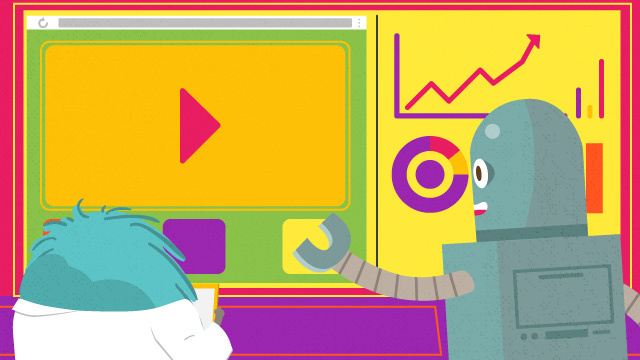 Learn more about how explainer videos can help your business grow at an impressive rate. Sign up to a FREE 4-day email course below!